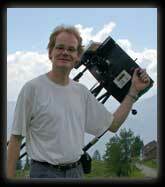 Thomas Pfleger was born in Oberstdorf, Germany, in 1964 and has been interested in astronomy since his school days in Munich. He studied aerospace technology at the University of the German Federal Armed Forces. He has worked as an IT project manager and software developer since 1989. Within astronomy, his passion is the visual observation of everything in the reach of his telescope! For many years he has been interested in the benefits that computers can bring to amateur astronomers.